Microsoft said Tuesday that it has greatly expanded the types of content and sources that can be embedded into its Sway tool, with an eye toward OneNote. And, just for fun, you can embed other Microsoft Sways into your Sways, as well. Microsoft has also bumped up its suggested search terms to include tweets and YouTube videos, allowing any Sway user to embed a wealth of content in new Sways. At this point, the list of types of files that can be added to Sway, Microsoft's lightweight content tool, seems fairly small: pictures (including groups of pictures), PDFs, and Office documents. But in January, Microsoft added the ability to add snippets of Web content, greatly expanding Sway's reach. Now, Microsoft has added Office Mix, Infogr.am, and even MixCloud to the, um, mix. You can even add new Sways to your Sways, going down that rabbit hole if you so wish. For now, you can just pull images from OneNote. The vast majority of Sways, however, emphasize images, and it's images that the company has chosen to pull from OneNote. For now, you can drill down through OneNote notebooks, but you can't embed one—or recorded audio or video, for that matter. But you can transform your class notes, however, into a more formal presentation. The Sway updates also improve how Sway suggests content, using Bing to suggest Creative Common-licensed images, as well as videos and tweets published to YouTube and Twitter. Given that both types of content are becoming more prevalent (including inside PCWorld articles!) 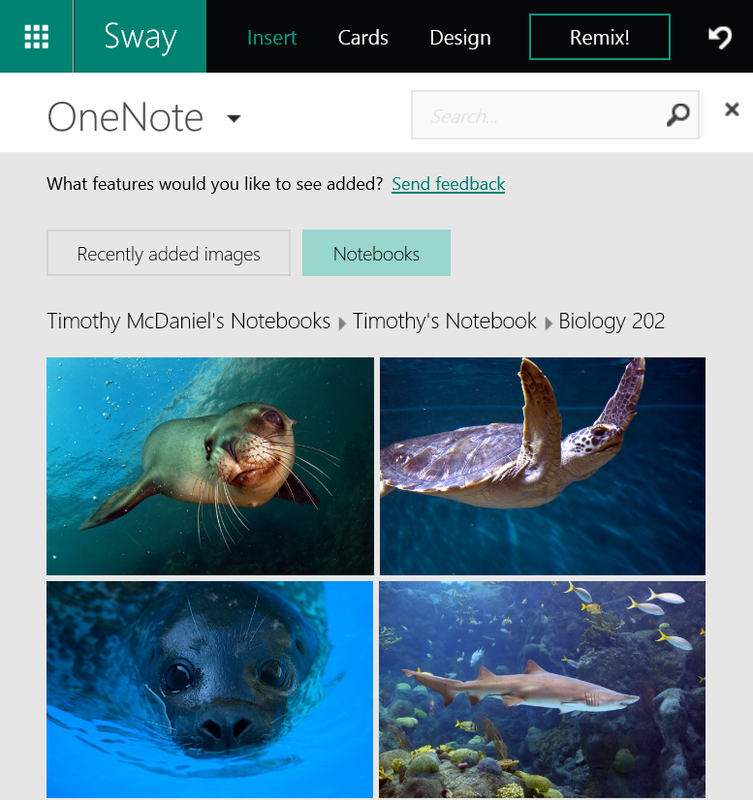 it makes sense that Sway users would have access to those as well. Microsoft also made some other presentation tweaks, adding "comparison" and slideshow tools to organize your images. 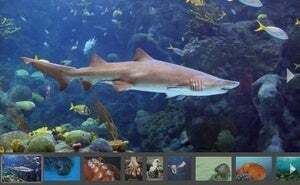 While slideshows are self-explanatory, the comparison tool might be less so: it will allow you and your readers to slide two images over one another, as an overlay, Microsoft said. The goal is to allow readers to visually compare one image with another. Finally, Microsoft added privacy features, allowing users to either make a Sway public, hide it completely, or else limit it to a group of people. Why this matters: Microsoft's still building out Sway, but the company's obviously committed to it. And expanding Sway's net of content certainly helps. 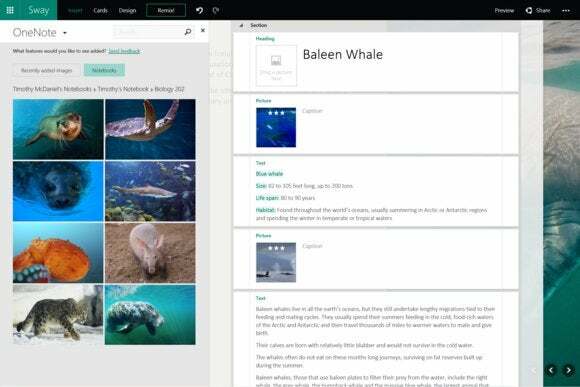 Sway also still seems to be succeeding in keeping the Sway interface simple even as it ramps up the complexity of its content—and that's a good thing.